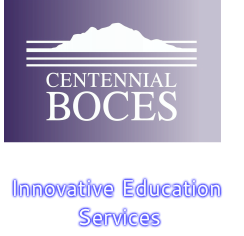 Employees of Centennial BOCES or one of its member districts may be eligible for a tuition discount of up to 10% on a bachelor's degree, master's degree, or certificate program offered through CCU Online. Learn more at ccu.edu/pep10. 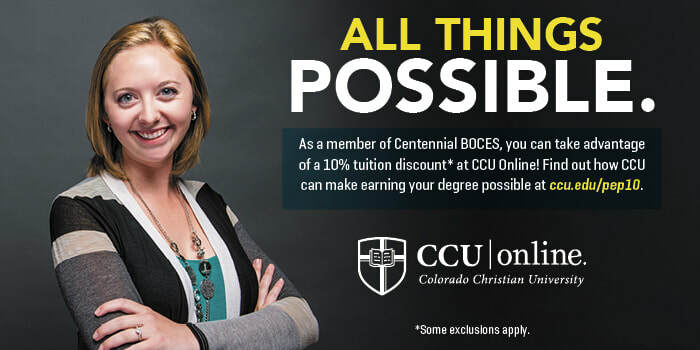 To speak directly with an enrollment counselor, contact Brittany Miller at 970-461-5201 or email bmiller@ccu.edu.